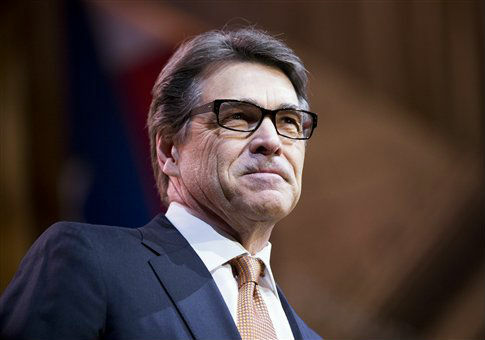 Rick Perry's June event in Addison, Texas, where he is expected to announce his candidacy for president, will feature a number of retired and current Navy SEALs, according to a invite to the event. Retired Navy SEAL Marcus Luttrell, whose autobiography inspired the 2014 film Lone Survivor, will attend with his wife. The widow of retired Navy SEAL Chris Kyle, whose autobiography inspired the oscar-nominated American Sniper, will also be there. The event will also feature retired U.S. Navy SEAL JJ Jones, retired U.S. Navy SEAL and Medal of Honor Recipient Mike Thornton, retired U.S. Navy SEAL Pete Scobell, and current Navy SEAL Morgan Luttrell. Bestselling author Brad Thor, retired U.S. Navy Explosive Ordnance Disposal Technician Paul Craig, and retired U.S. Marine Corps Captain Dan Moran will also be at the event. This entry was posted in Politics and tagged Texas. Bookmark the permalink.